The Denis Welch Motorsport team travelled to Oulton Park on Saturday 12th May to support 2 Austin Healeys, SMO 746 and FEE 426. We ensured the vehicles were prepared for a weekend of high speed racing at the first AMOC racing event of the season. The Equipe Pre '63 race featured FiA period E cars run on Dunlop historic 'L' section tyres to FiA appendix K specification. Teams competed with either one or two drivers in an exciting 40 minute pit stop race that captured the spirit of 1950's clubman racing. The combination of Martyn Corfield's skilful driving and the power of the SMO 746 engine provided a perfect race for the Denis Welch Motorsport team. SMO 746 eased its way to victory finishing 1st overall, showcasing its handling around corners and its speed on the straights. A broad range of Sports Cars, GTs and two-seater Sports Racing Cars from the 1950s were on display in the Jack Fairman Cup race. 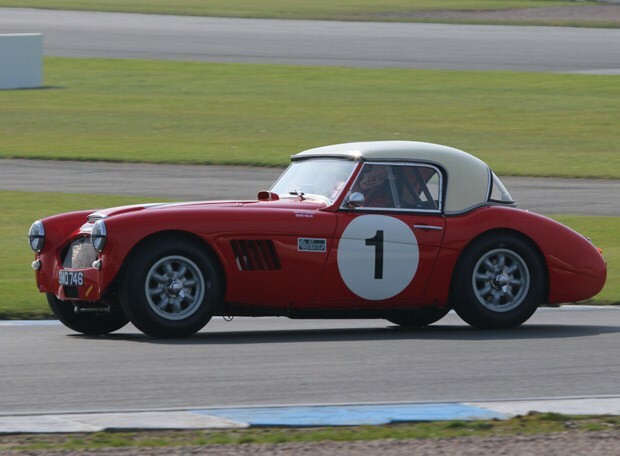 Oliver Harris had a very competitive race in his Austin Healey 100 FEE 426, which finished 3rd in class. Despite SMO 746 starting the race 13th on the grid it was another very impressive performance as it managed to catch up with the front runners and finished 1st in class. SMO 746 took 3rd place overall, narrowly missing out on 2nd place by less than a second as it passed by the chequered flag.